Inspired by Greek mythology, A Midsummer Night's Dream follows the adventures of young Athenian lovers, a group of actors, the Duke and Duchess of Athens, Theseus and Hippolyta, and the fairies who inhabit nearby moonlit woods. This classic tale is a romantic comedy by William Shakespeare written around 1594 to 1596. The play is one of Shakespeare's most popular works and is widely performed across the world. This Coloring NovelsTM edition is the public domain version and has 40 imaginative colorable illustrations including featured artwork by author and artist, Emilyann Girdner. This is a novella length publication. The fantasy charm of Eragon meets the gritty flare of The Hunger Games in the Amazon Best-Selling Obsidian Series books which offer a surprising and fresh magical labyrinth adventure. Imagine a labyrinth world from the perspective of its native people... Araina’s lonely teenage life is forever altered when she witnesses a man with supernatural powers emerge through a rippling wall into the dark and deadly labyrinth she calls home. Araina must solve many mysteries surrounding the newcomer and the labyrinth she thought she knew so well. And, as a result of the stranger’s arrival, Araina’s creators have unleashed a series of attacks against the labyrinth inhabitants. She must decide if she will trust potentially deceitful allies in order to survive. Novels have been refused the love of artistic interactivity and brilliant colors for far too long. Not anymore... Coloring novels were dreamed up by author and artist, Emilyann Girdner. She launched Coloring Novels™ because she wanted to bring the joy of reading novels and coloring together. Reading is an inspiring experience, so you are invited to color the provided pictures, draw your own art, and jot down your ideas as you enjoy this adventure. For more coloring and reading enjoyment, collect all classic stories available by Coloring Novels™. *Note that colored pencils are ideal for this paper. Markers and some gel pens may bleed through pages. Attempting to color the paperback edition covers may cause smearing and is not recommended. This post contains affiliate links which may provide me with a small commission if you click and make purchases through it. This post contains affiliate links. I may earn a small commission if you click on them or purchase books through the links. J. Stewart Willis, a graduate of West Point and Rensselaer Polytechnic Institute has had a varied life as from time in Vietnam with the 173rd Airborne Brigade, sixteen years as a professor of physics at West Point, a manager with the TRW for communications projects and the Nuclear Waste Project at Yucca Mountain in Nevada and as Mayor, for nine years, of the Town of Washington, Virginia. Now he is pursuing a lifetime dream of writing fiction. This post contains affiliate links. I may earn a small commission if you click on them or make purchases through them. This is my 10th trip to Harmony Valley. 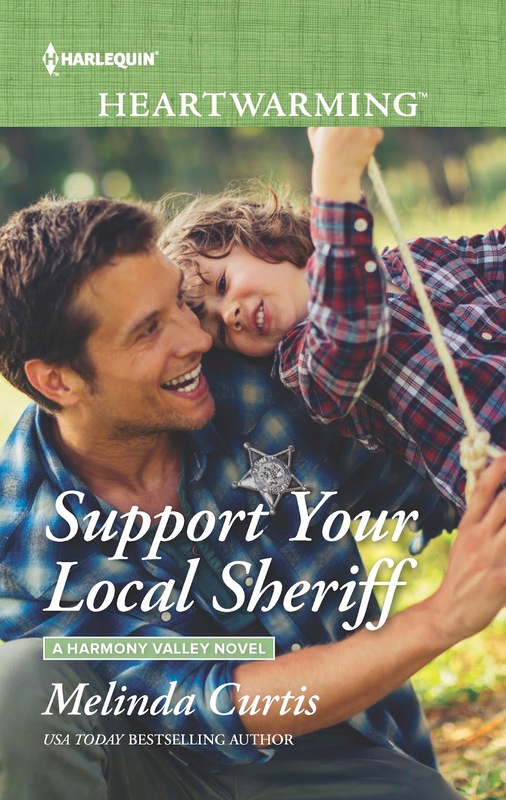 Support Your Local Sheriff pits tall, dark and quiet Sheriff Nate Landry against community activist Doris Schlotzky and the sister of the woman he almost married, Julie Smith, who shows up in town with the toddler son Nate didn’t know existed. Not good enough? The little black rain cloud over Nate’s head sucked the oxygen from the old church. “In this age of police misconduct, the people need a voice.” Doris had a death grip on the podium. Nate thought it might be his death she planned. My mom had a huge crush on James Garner. Why? Why not! James Garner was handsome as all get-out. He was a versatile leading man, able to play serious roles as well as ones drawing on humor and heart. And he took on acting roles on both the big screen and the small one. He was immensely popular from the 1950s to the 1970s, and just when my mom was lamenting his so-called retirement, in 1984 he returned to the big screen in an older man-younger woman film called Murphy’s Romance. And when he played the older lead in The Notebook in 2004, my mom was thrilled. She loved that he was drawn to play honorable characters doing what was right in hard situations. I can mark the years by James Garner. . .
Mystery solved. Residents were doing the neck-craning wave to watch an angelic toddler putting on a show behind Nate. When Nate turned his head, he received another gentle forehead bump. “You’re an awesome little dude.” Nate ruffled the boy’s hair. I admit, I wore white at my wedding. But that doesn’t mean I’m not open to admiring women who wear colorful wedding dresses. It takes chutzpah to wear something other than white or cream. Honestly, sometimes I get a wild hair and try on orange jeans. I haven’t bought a pair yet. I know I’m not bold enough to do so. I respect anyone who can comfortably pull this off. "This is a slow building romance. The sparks don't really jump off the page but the story has a gentle pull that kept me engaged and interested. There are all kinds of meddling, crazy and quirky characters thrown into this book. Combine that with the small town antics and you will be shaking your head and rolling your eyes, just like me. It was a lot of fun." “Julie.” Nate shot to his feet, steady as always, guarded as always. If Nate was the sheriff, he was off duty. He wore a brown checkered shirt and blue jeans, not a service uniform. I once asked my assistant what her biggest frustration was in dating and she told me autocorrect. Her stories about texting faux pas led to the plot line of Always A Bridesmaid. . . .
"Duke has a cute personality. Been a little while since I have visited Harmony Valley, love the residents of the town, a good series. I have read several in the series and plan to read more." Julie’s aim was off. Nothing was ruffling him. Nothing was satisfying her need for revenge. She’d have to hunker down for the long haul. She’d never been good at the long game, at chess or Monopoly. This time, the stakes were higher than bragging rights or a pile of paper money. This time, she had to be patient. “Want Mama.” Duke collapsed against Julie’s shoulder, his forehead pile-driving into the only tender spot on her body. Her sharp intake of breath caused Nate to dip his head and stare at her more closely. She smoothed her expression into her game face, determined that he only see what she wanted him to see—a strong woman who despised him. “You got married.” Nate’s gaze was gentle. "Sweet, sassy and romantic, Support Your Local Sheriff is definitely going on my faves list for 2017! Colorful characters, a cozy small town setting and an adorable toddler will make you laugh and smile, while Nate and Julie’s story will leave you swooning and maybe even wiping at a few stray tears. Add this book to your TBR, my friends! And now I’m off to track down this author’s back list!" The bottom dropped out of Nate’s world and his stomach plunged to the center of the earth. I write small town romance. 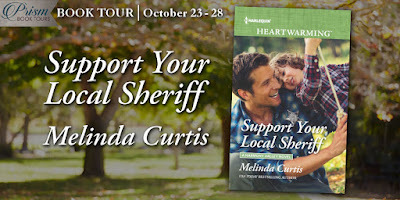 There is one consistent resident in every small town – the local sheriff. Let’s say you live in a small town with a sheriff and you’re single. Let’s say you have a dating pool of the butcher, the baker, or the sheriff. Who’re you gonna date? Here are five reasons to choose the sheriff. . .
Nate tugged one of his own. The kid would grow into them. Nate first appeared in Book 2 of the series. He patiently awaited his turn in Book 10. And that’s probably one of his key characteristics. He’s tall, dark and silent, keeping his past to himself. 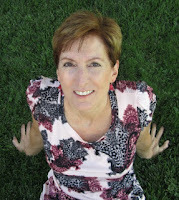 But the impetus of the story came from my former sister-in-law, Lynn. Lynn had cancer while she was dating my brother. Chemo sent her into early menopause, so they didn’t use birth control. When they broke up, she had no idea she was pregnant. In Book 4, I referenced Nate having left someone at the altar. Lynn’s story seemed the perfect backstory for Nate’s jilted bride. This post contains affiliate links. I may earn a small commission if you click on them or purchase through them. This post contains affiliate links which may pay me a small commission if you click on or purchase through them. This post contains affiliate links. If you click on them or purchase through them, I can make a small commission.